As part of this years Keep Britain Breastfeeding Scavenger Hunt I was lucky enough to be able to offer a Babasling of their choice to one lucky winner who shared with us the most strangest or most interesting place they have ever breastfed their infant. One of the major aims of the week was to share advice, support and experiences with new Mums and Mums-to-be, and show them that breastfeeding is possible for almost everyone, at almost any time and in virtually any place - and definitely NOT confined to toilets and car parks. It IS the most natural thing in the world and the rights of you and your child to nurse are protected by law. Just because you CAN do it anywhere does not mean that no place is unusual or funny however - lets face it you can eat, sleep or pee anywhere, but some places are definitely far more noteworthy than others! 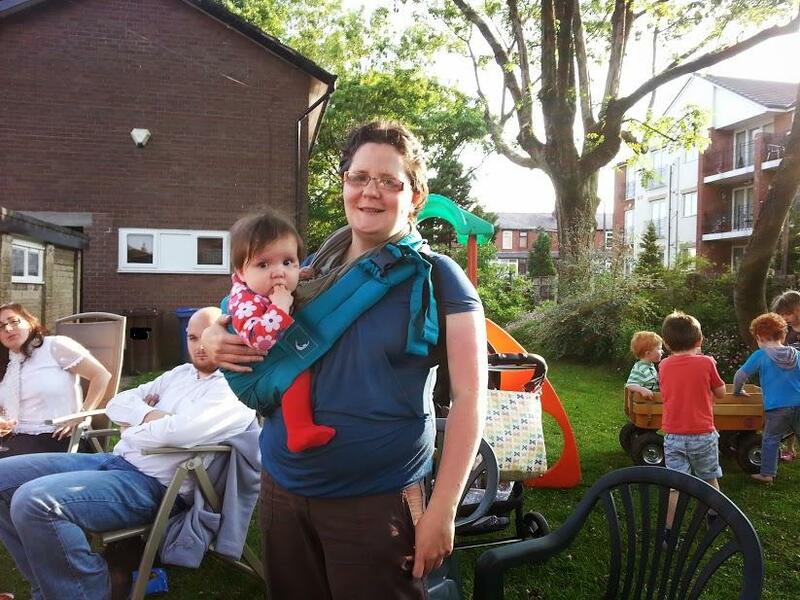 Slings are a great way to carry your child hands-free so that you can get on with all that other boring stuff you have to do every day, and you can also feed your child discreetly and easily while out and about. I'll be hosting a guest post from Pippa at RedRoseMummy soon, who yesterday completed the 5k Race For Life while carrying her daughter in her new Babasling (well done you!). We've had a group of fantastic entries, although sadly no-one supplied us with photo evidence of them at the top of Snowdon or on the Big Wheel in Blackpool. There were tales of feeding at the Town Hall while registering the baby, feeding in supermarkets and Ikea while browsing, on the train ride at Drayton Manor, at a school play, in the swimming pool and feeding while a passenger on long journeys on planes, trains and in the car - something I did once try but wasn't very successful at! The park and countryside were the most popular entries and I have to say sitting outside in the shade on a warm day feeding your baby is one of my all-time favourite and most peaceful things. It was pretty much impossible to choose a winner, so we put all of our favourite entries into a hat and picked one out. Our winner is Libby, who fed while flat on her back on the Osteopath's couch, and also while labouring with no.2, which I have to say is very impressive and not something I think I'd have been able to sit still long enough to manage, and I wouldn't have wanted to hold a toddler long while in labour either! A special mention from me goes to Gemma who writes at MyMillsBaby, who fed behind the bins in McDonald's car park after being asked to leave when her husband had the car keys and was still inside. It's an awful experience and exactly the type of thing which Keep Britain Breastfeeding week is hoping to help prevent in the future. No-one should be made to feel like that ever. Thank you for all of your entries, and thank you for helping to show new Mums and Mums-to-be that breastfeeding is normal and everyday, and we don't have to hide it away because it's something we can be proud of. We are giving our babies the best start, and something that will affect them positively for the rest of their lives. It should be normalised, it should be nothing special, it just be what we do with our children whenever and wherever they're hungry. the natural, simplest, cheapest and best way to feed your baby. When I first was writing this post I added this video, then I took it out because I thought everyone would have seen it by now, but the first two people I've spoken to haven't seen it - so I'm putting it back. Very well worth a watch - Hollie McNish - Embarrassed.. 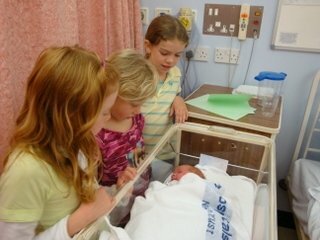 Some great stories there, I love the photo of your three girls and boy 3. Thanks for mentioning my Race for Life too and that *lovely* photo. Yes, I have it sussed now. I've used it lots, it's perfect for Little Miss and is really easy to carry her in it. Thank you, the Babasling made it surprisingly easy.